Agents of Shield episode 3 was pitch perfect! The pilot was an excellent start to the series that brought together a ton of different aspects of the Marvel Cinematic Universe. The second episode titled 0-8-4 was more about some slight Coulson back story and the Agents coming together for a common goal. Both of these episodes touched on things that had occurred in the Marvel movies but episode 3 ‘the Asset’ was the first to truly bring in something completely new from the Marvel Comic Universe. What was it you ask? Well hold your horses! Gravity will take me there in time ‘HINT’. The episode was good for a number of other reasons. The opening might have been the most action packed yet, even if it was a bit inspired by an awesome scene of Magneto’s in X-Men 3: The Last Stand. Skye continues to be our primary character as she is naturally given the most development. Although it’s fun how the writers are keeping her on the edge of really joining Shield and just being a Rising Tide spy. My money is on her eventually fully committing to Shield but I think it would be all kinds of shocking and awesome if mid-season she ditched the team and betrayed them making her their new biggest threat. Her chemistry with Agent Ward is a bit confusing though as there is obviously a sexual side to it but their relationship also has aspects of a big brother and little sister; only a bit of time will tell where that situation is going. Clark Gregg continues to steal the show with his lines and moments. “I’ll be honest, our strategy did not take into consideration you saying that’! What made this week’s episode so great was that he created a nemesis for himself! 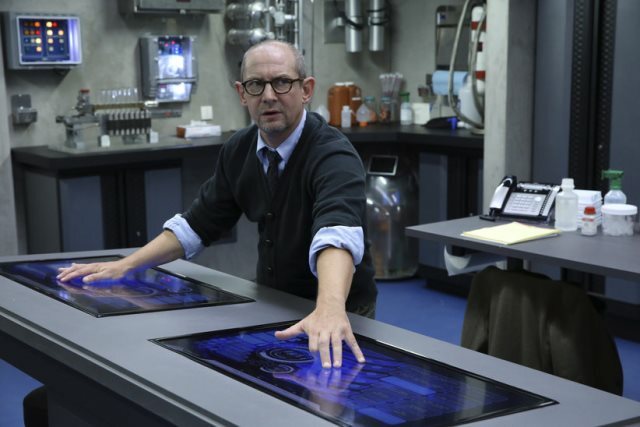 In the climax of the episode Coulson shoots the glass he and the misguided super scientist Dr. Franklin Hall played by Ian Hart, are standing on. The action sends Hall into a gravitational device, that he had rigged to self-destruct, thus resulting in its shutting down. 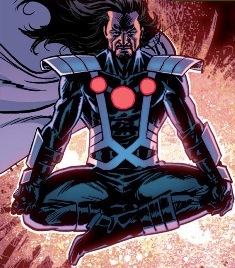 Unfortunately as comic fans know Hall has another persona as Graviton and this tragic conclusion to the episode was his origin story as a super villain. Those of you who stayed to watch the very end of the episode got to see that he was in fact alive. So now Coulson has a super powered villain with a vendetta against him. I can’t wait to see how that plays out! As for the rest of the team we got a lot of humor from Fitz as he advocated the use of a monkey to disable a security fence that stood in their way. Melinda May decided to head back into combat after she saw that Coulson was a bit rusty. Oh and on that subject remember how I think Coulson is a robot replacement of the original Coulson who died? Well there was a great nod to that in this episode as Coulson had no muscle memory meaning that while he had memories of taking apart a gun his new body didn’t. Lastly this episode had a bit of political commentary about people trying to operate outside of political lines to do illegal research and illegal experiments. David Conrad plays Ian Quinn as the industrialist with no soul perfectly. He actually was one of my favorite parts of the episode because while he was certainly an arrogant corporate villain ignorant of his actions long term repercussions he was also incredibly charismatic and likeable. As he talked to Skye about how Shield was ‘big brother’ you kind of got the sense that although he was embellishing he wasn’t lying. This goes back to a thought I had a while ago. Essentially what the Agents of Shield are doing is finding new super heroes and strange events and recording them. Which if you read the X-Men you know almost always leads to some sort of registration and then terrible persecution. Shield even has a history of doing this in the comic books during the Civil War-Dark Reign era of Marvel. Shield isn’t necessarily ‘the good guys’ and it’s great that the writers are making that known throughout the show. Catch up with the Show on ABC. Com or Hulu! Other Episodes of Marvel’s Agents of S.H.I.E.L.D.